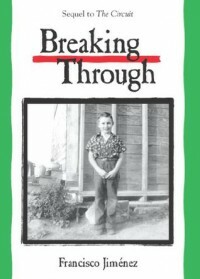 My blog contains all of my favorite books. It also have my reviews of books that I have read that are bad and good . 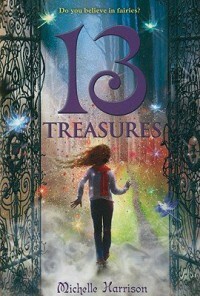 The book , 13 Treasures by Michelle Harrison, ending is very surprising because you wouldn't expect that Tanya's friend, Red, would take her place in the fairy realm. Instead of Tanya being stuck in the fairy realm with no way out, Red took her place so that she could find her brother and Tanya could stay with her family. Without Tanya stuck in the fairy realm Morweena Bloom's plan failed. In the story The Circuit Francisco Jimenez is trying to teach us that even if you live destitution you can still fulfill your dreams. 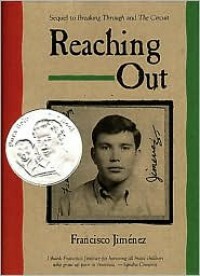 In the book Francisco tries to convince his dad for his family to stay in Santa Maria so he can stay in school. In order for him and his family to stay he and his brother need to get another job, so that they provide for their family because their dad can no longer work in the fields. Panchito reminds me of my mom because my mom basically had a very similar life. All through my mom's life , she had to work in the fields and got paid a very small amount of money. She always reminded herself to work harder in school so she wouldn’t have to work in the fields when she got older. The point I started liking the book was when Panchito got an award for the butterfly he had drawn. I liked it because it made me feel happy for him. It made me feel happy because he was having a difficult time in school, since he didn't know English. My favorite part was when he gave his ribbon to Curtis even though Curtis tried to beat him up for his sweater. Nat (main character) is a funny energetic girl who wants to express her talent. At times I feel like Harper is a self absorbed girl who only cares about her self but she can also be really sweet. Jess is a chill type of person who looks like they don't really care but they do. 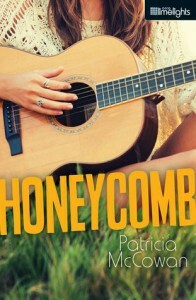 At a summer camp these three girls become a trio named Honeycomb.They enter a contest to enter for a chance to sing at the Tall Grass Music Festival. At times Jess wants to quit and starts fighting with Harper but then Nat fixes it, until one day the girls have a nasty fight. Will they still be Honeycomb or will they break up forever. 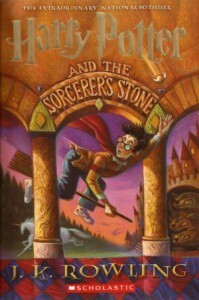 This book taught me to not listen to rumors and to always try your hardest. It also taught me to not be afraid to express myself and share my talents with the world. I gave this book only 3 1/2 stars because this book was good but it didn't really catch my attention, surprise me, or make me happy. I would recommend this book if you were looking for a novel to kill time or want to read a short but good story. This was a fun book to read and I would recommend it if you like fantasy books. 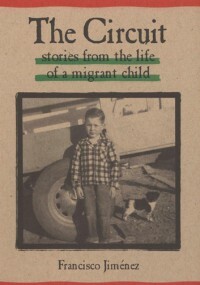 This is a great book which shows the life of a migrant child.